More important developments arrive at the blockchain stage. Some days ago we reported at UseTheBitcoin that the giant Chinese e-commerce platform, JD.com, was launching an accelerator program to promote Blockchain technology star-ups. 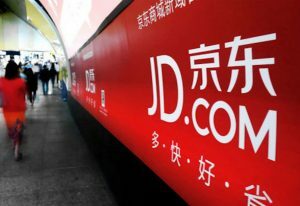 Now, a report from Business Insider from March the 3rd says that JD is implementing a blockchain system to track the supply chain of its meat sales. JD.com is working in order to implement a system that will allow customers to track the meat they buy from the farm where it was raised all the way to their fridges. Once the system becomes operational in the next months, customers will be able to check all the supply chain starting at the meat farm. In order to implement this tracking system, JD.com has partnered with an Australian beef producer known as HW Greenham & Sons Pty Ltd. The truth is that the lack of food control causes thousands of deaths a year. With a blockchain tracking system, these deaths may be reduced. In China, counterfeit goods often evade controls. In August 2016, local authorities discovered 319 pigs that were contaminated with prohibited drugs. Among the drugs that the Chinese government fond we can mention salbutamol and clenbuterol. With blockchain technology, these situations will be reduced to minimums and will boost consumer’s confidence. Within seconds, buyers are able to verify the origin of the meat. Blockchain technology as a way to track food origins may reduce worldwide cases of salmonella and other important diseases. Walmart and IBM have also built a platform to remove recalled foods from their product list.